When you jump off your cruise ship you usually have one day in Tallinn to look around and soak up as much as possible. 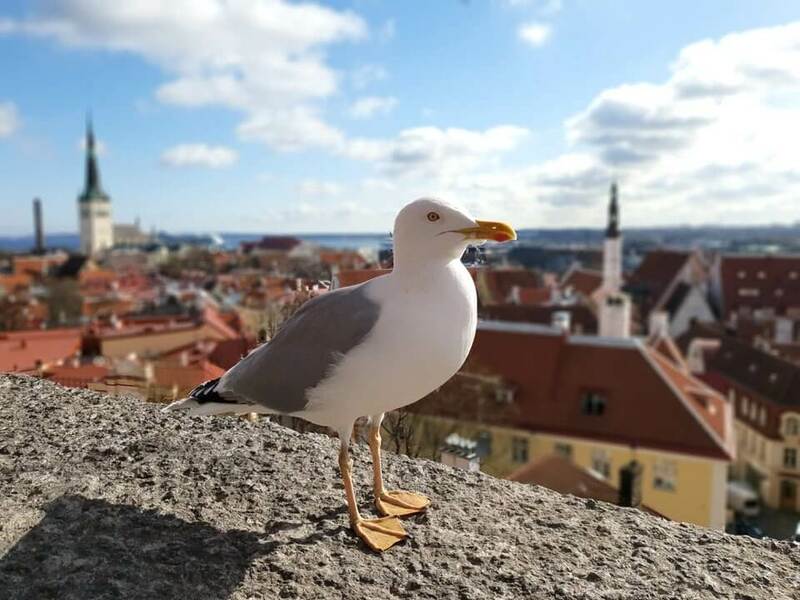 A few years ago I spent a week in the city, but when I was in Tallinn for a day from my Princess Cruise I literally couldn’t remember what I’d done to fill all that time – and so basically, didn’t end up doing much at all. 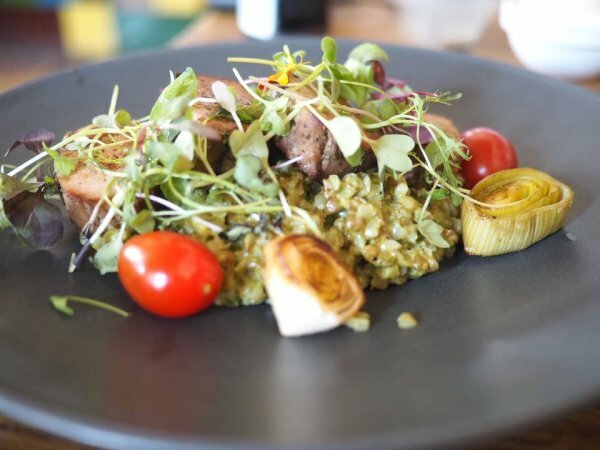 When you only have a day to explore a city, like I did with Tallinn, it’s important to do a bit of research beforehand so you can really make the most of it. I think it’s a great city for a weekend, but if you only have the day in Tallinn (boat from Helsinki maybe?) then here are a few of my top tips on what to do. Estonia is known among some as ‘Europe’s answer to Silicon Valley’ – their economy is one of the fastest growing on the continent. 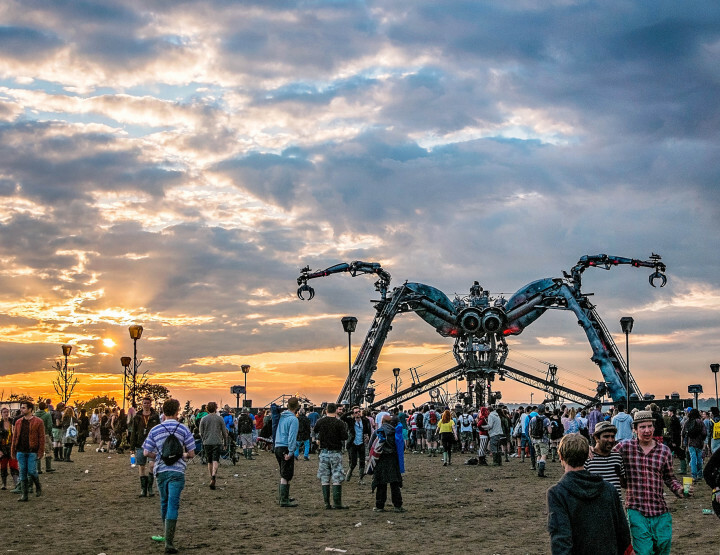 As well as the economy growing at a crazy rate, so are the tourist numbers. Cheap flights out there, bargain prices when you’re there and an absolute favourite on the cruise route means the country is well worth a little look see. Flanked by the Baltic Sea and Gulf of Finland, it’s made up of over 2,000 islands and Tallinn, the capital, is at the epicentre of it all. 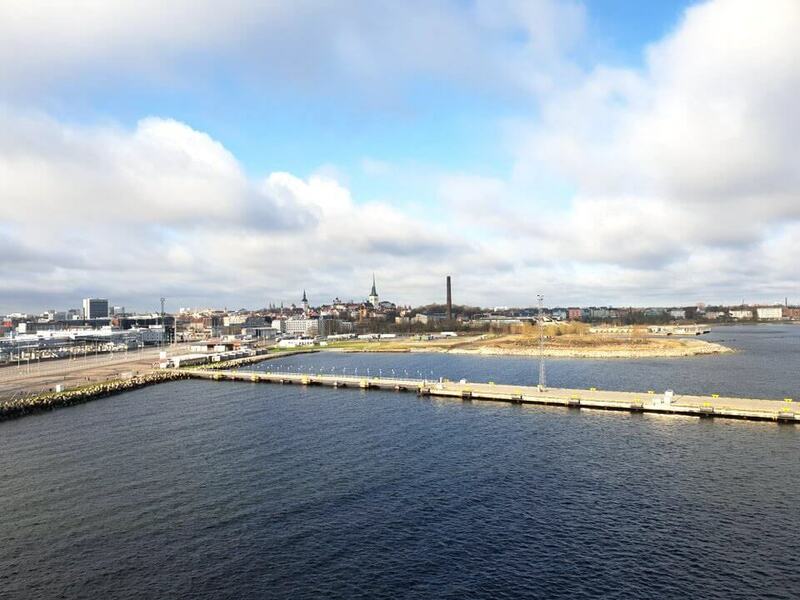 Helsinki and Tallinn sit across from each other, separated by the Gulf of Finland and if you’re looking to combine a trip to the seaside cities, the most direct route from one to the other is straight across the water. Taking just two to three hours, roughly 12 ferries leave from Helsinki each day costing between €80 and €100. My most recent visit was from on board the Regal Princess – one of Princess Cruise’s fleet. I was on an 11 day Russia and Scandinavia tour and after embarking in Hamburg, Tallinn was our first stop. 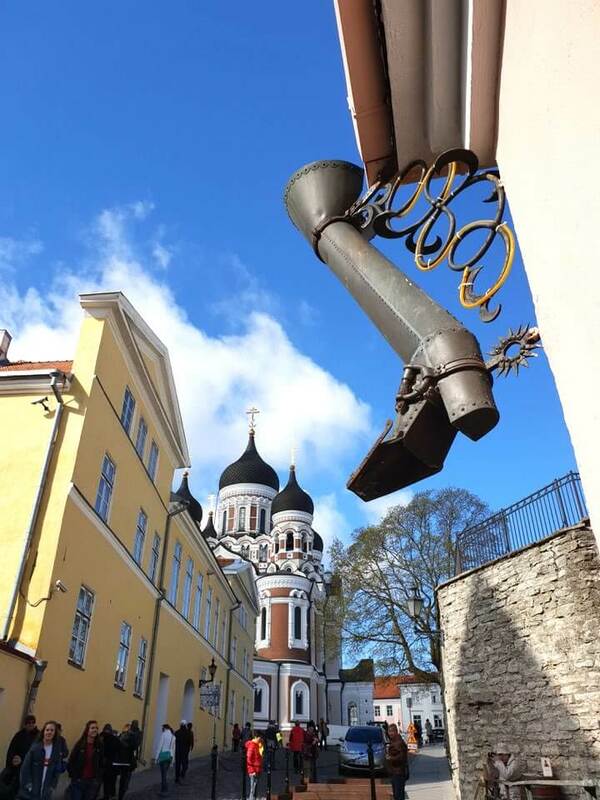 So once you’ve disembarked in Tallinn’s port, head straight for the Old Town. Narrow streets, a medieval square and known for having one of the most beautiful Christmas markets in Europe, you can walk there in 20 minutes (we went out via cruise transfer but a taxi back cost us €20!). There’s also a regular bus for €2 that’ll take you into the centre. If you do opt to walk, detour to the Rotermann Quarter. A former industrial spot, it’s been transformed into a cool space for quirky design shops and slick restaurants. Visit Old Town’s Popular, just by the Viru Gate (worth a snap). 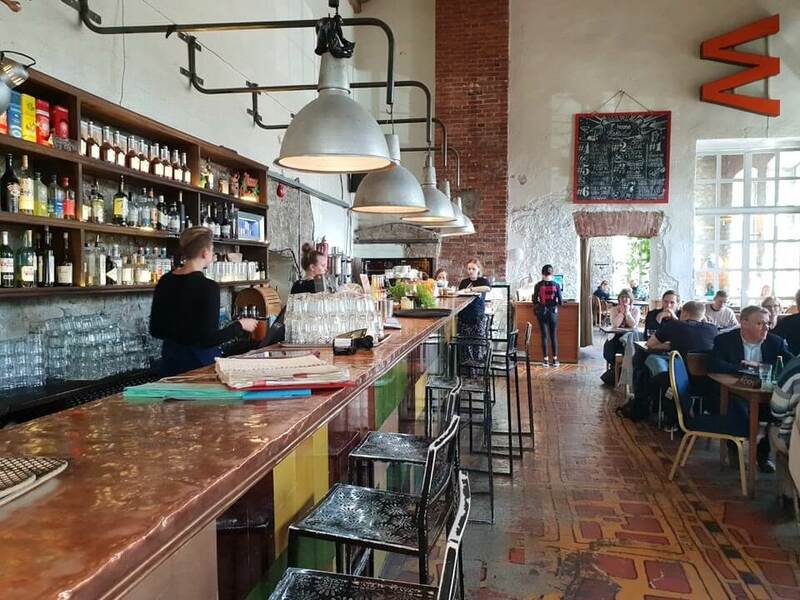 This hipster hangout serves up traditional Estonian breakfasts and its classroom-like interior will probably persuade you to come back later if you have the time, for evening drinks, Russian dumplings and the party. You’ll find plenty of restaurants and bars in the main square of the Old Town – just pick the one with the most sun and sit outside and enjoy the people watching, as per me, above. And of course, it’s waaaay more expensive to drink and eat there than the rest of the city – you’ve been warned, make your coffee last. Estonians love their pancakes and so a mix of savoury and sweet varieties are a must come lunchtime. Kompressor offers 29 different combos all for under €5. End your day in F-hoone, where we went for lunch. You know a place is good when the locals flock and you can’t get a table on a Wednesday lunch time. Once you see the century old building its hiding in, you’ll see why. 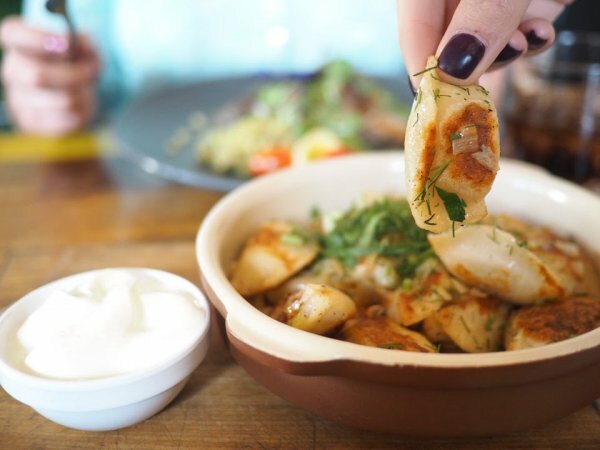 Laid back and serving varenyky dumplings, pumpkin and pasta with an extensive veggie menu, it’ll tick a big foodie box. I went for the traditional varenyky dumplings (to share), a tuna bake (hungry) and a porky risotto (above, delicious). Loved this place, apart from when the waitress smashed a glass on the table, the glass went everywhere, including in my friend’s hand DRAWING BLOOD and she didn’t EVEN apologise. Wander from the Town Hall Square and you’ll find city monuments like the Church of the Holy Spirit, the History Museum and the Former KGB Building all nearby. We went on a tour around the KGB Building and I was enlightened as to how much they spied on anyone passing through – it was kind of scary really. Microphones in the cutlery, cameras in pin holes in the wall and booby traps all around the hotel. Great tour! Wander around near the Old Town and you’ll also see the Great Coastal Gate, Fat Margaret’s Tower and the impressive Aleksander Nevsky Cathedral. Don’t worry about how far you go, the Old Town is known among locals for always bringing you right back to the Town Hall Square. For that all important panoramic view complete with the city’s classic red roofs, walk to the Kohtuotsa viewing platform before visiting the Balti Jaam Market for fresh food, craft shops and cool vintage stores. And if you do go to the F-hoone place, save some time to wander the cool boutiquey shops there. Some great stuff if you can fit it in your luggage. There was a housey shop in there where I definitely could’ve decked out my entire house. 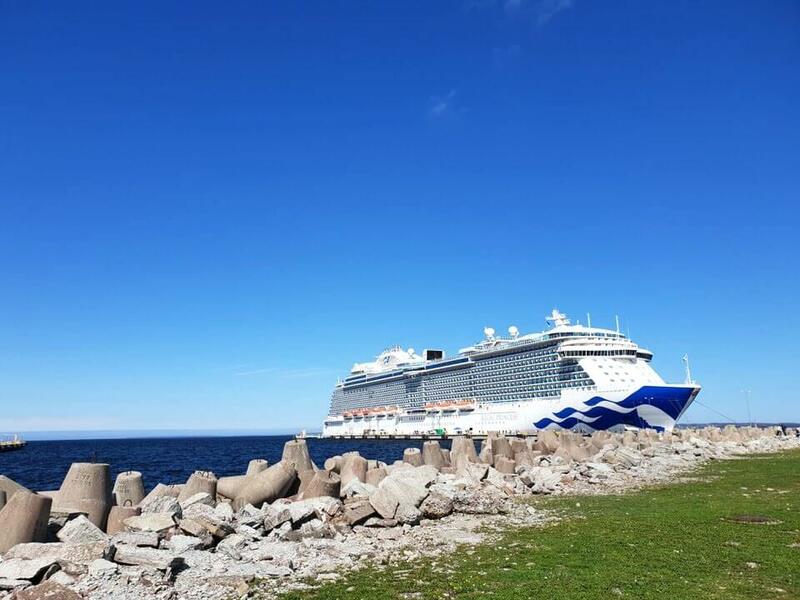 We had to be back at our Princess Cruises ship for 3pm, so there was no afternoon or evening fun for us, but if you’ve got the full day and evening in Tallinn to fill the here are a few ideas for what you could do. 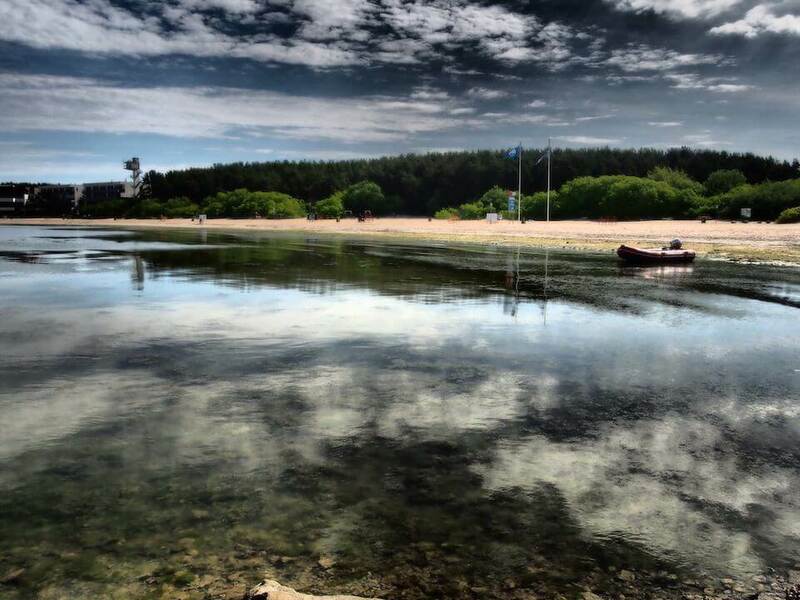 With a spa culture dating back 200 years, Estonians know how to sweat it out and this particular tradition is said to have started when the Russian Tsar began holidaying in the Georg Witte spa in 1863. Since then, it’s been regular bubbles for the locals and the Sundari Day Spa is a popular place to indulge. An alternative is the Nordic Hotel Forum where you can complement your steam with views of the Old Town or Kalev Spa Water Park for a more lively experience complete with slides, a pearl bath and a flower pool. Last time I was in Tallinn I went on the bus to check out the beaches nearby – they were only a 5-minute ride away, or there’s a bigger one 10 mins away. I was genuinely amazed at how beautiful and empty they were. 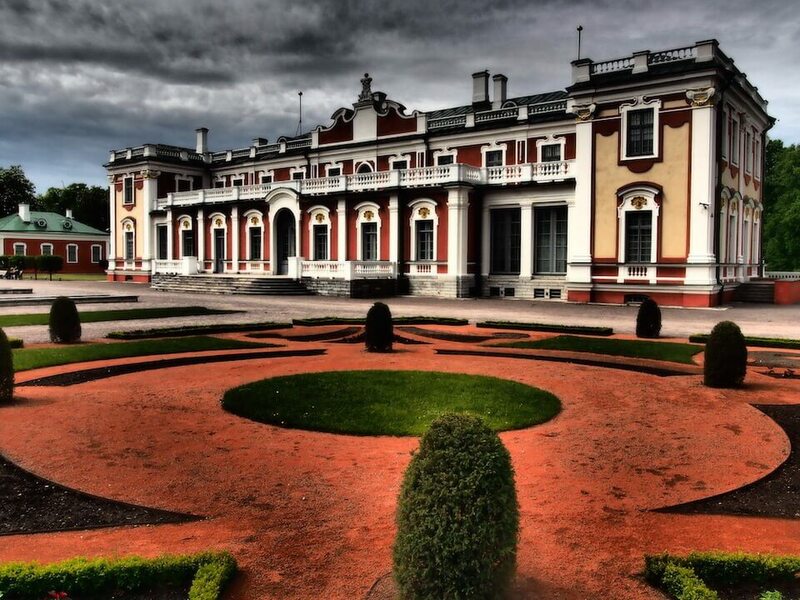 Kadriorg Park is the most outstanding palatial and urban park in Estonia, covering over 70 hectares. I spent a whole day here when I was there for a week, but you can definitely get the idea in a few hours. Check out the President’s Palace and the Swan Pond. There are a few museums in the park, including KUMU (the Estonian Art Museum), Kadriorg Art Museum and the Mikkeli Museum, as well as monuments to famous Estonian cultural figures. 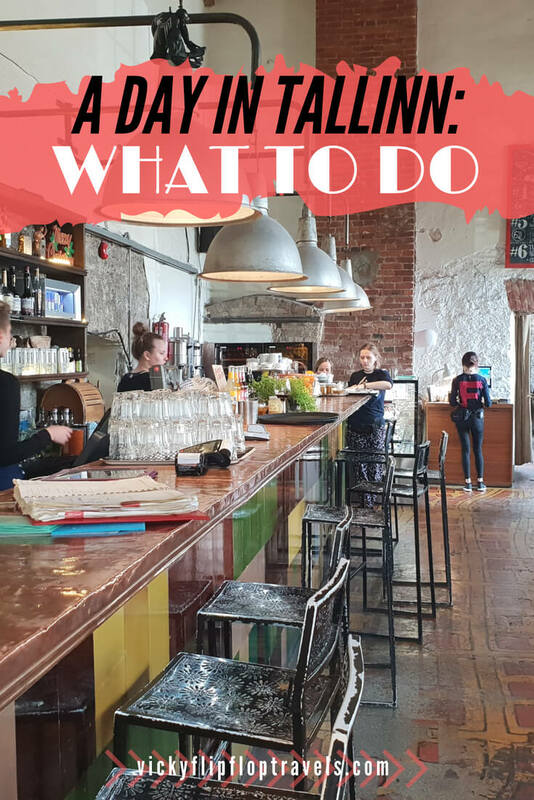 You’ll have the best night in Tallinn in a hidden cellar bar or jazz lounge like bohemian Tuum café-bar, Paar veini wine bar or Levist Valjas cellar where fruit wines, herbal liquor and vodka are the favourites. Stay longer at the nearby former industrial spot Telliskivi Creative City (where F-hoone is) to make the most of the urban hangout. Rammed with affordable food trucks, design stores and street art, at night craft beer reigns in top bars like Pudel. It’s then customary to travel from cellar to club and end your trip partying to heavy tunes in Culture club Kelm or Nightclub Café Amigo. Day in Tallinn – sorted! 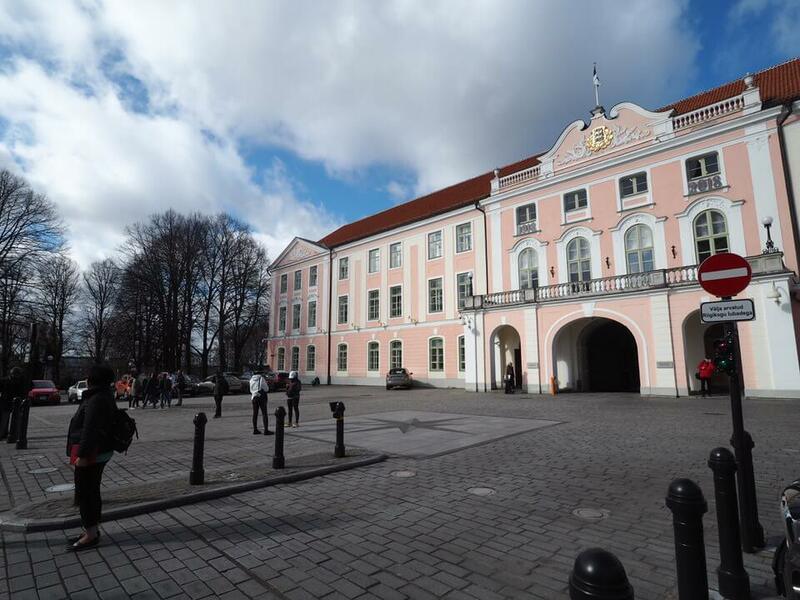 I had one day in Tallinn from my Princess Cruises cruise around Scandinavia and Russia. 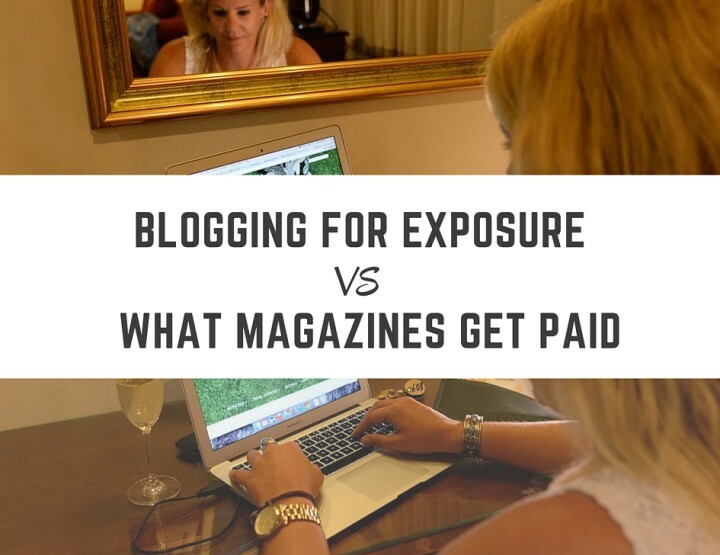 I was invited on the cruise in return for exposure on the blog. All thoughts and words above my own. Princess Cruises encourage you to explore the port cities for yourself and help to get you into town independently. Of course they also run tours and excursions if you’d like to visit the cities with a guide. Mix it up! 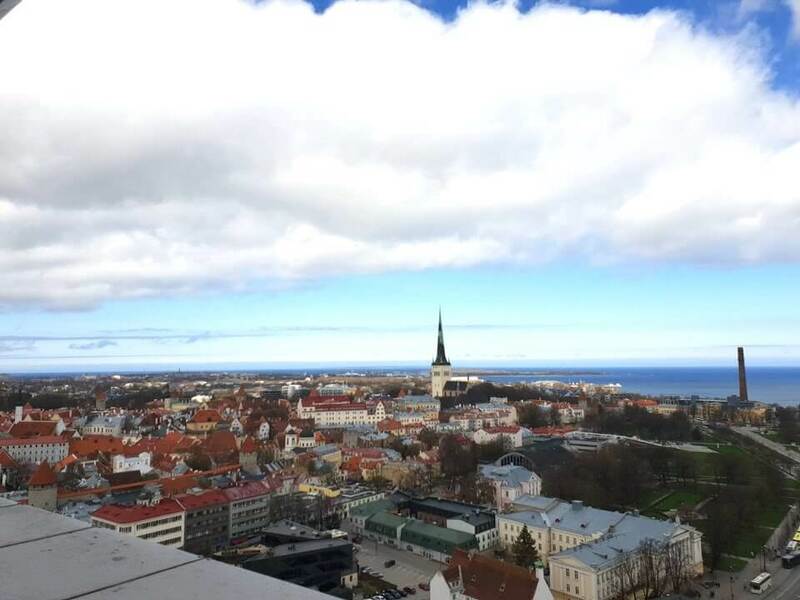 I honestly never thought about visiting Tallinn until I followed your trip. It looks like a fairytale! Oh it's such a lovely place for a weekend trip, would definitely recommend. 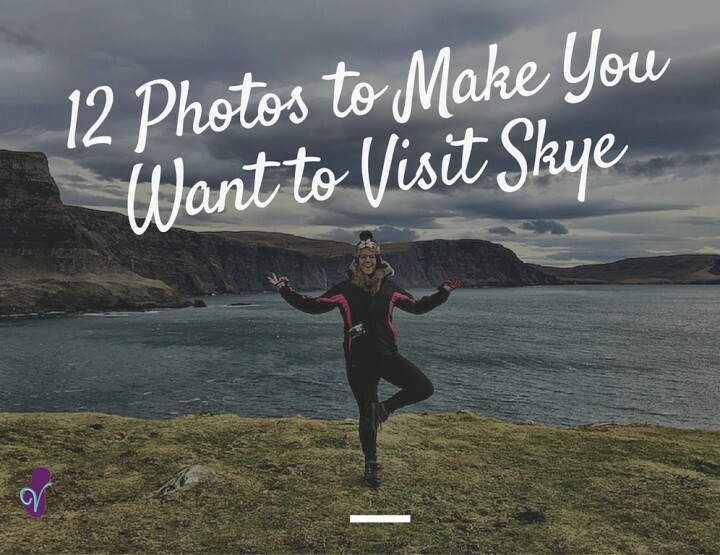 So many pretty photo spots and great places to eat too! Great post. Thanks for sharing the same. No worries, hope the info helps you to have a better holiday!